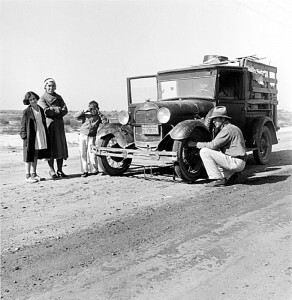 Each article in the Special Topic series introduces the reader to a specific aspect of the Dust Bowl migrant experience. Interwoven into each article are key primary and secondary documents as well as excerpts from the migrant interviews that are part of the California Odyssey oral history project. For additional sources see the “Research Sources” page.